There are 1,235 districts, 8,697 public schools, and 581 charter schools in Texas serving 5,000,470 students. 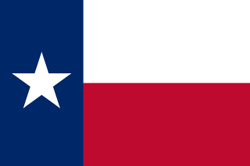 Financially the state of Texas spends approximately $10,307 per student. There are 324,282 full-time teachers receiving a total of $19,881,407,108 in salaries and $3,074,614,899 in total benefits. 2,202,591 students receive a free lunch and 350,228 receive a reduced-price lunch.